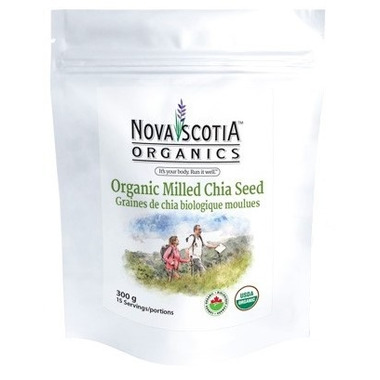 Nova Scotia Organics Organic Milled Chia is low in calories, high in fibre and Omega-3 & 6 and a good source of protein. 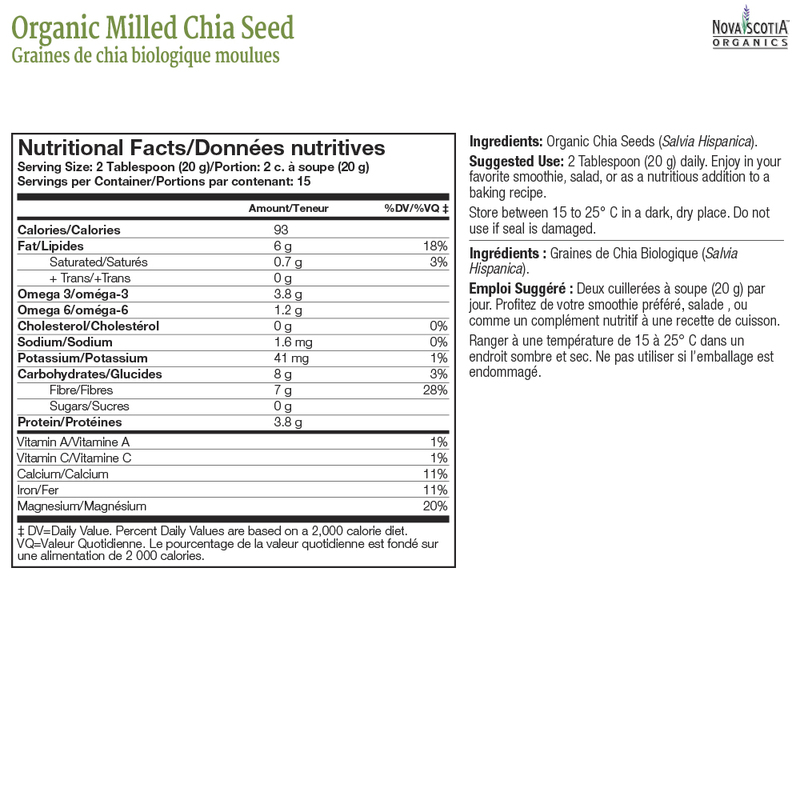 Chia seeds also contain calcium, iron and magnesium. Enjoy it in your favourite smoothie, salad or as a nutritious addition to a baking recipe.